I have been highlighting the art from numerous students who have taken workshops in the online teaching network that I run with Golden working artist Chris Cozen. Students were asked to submit their artwork from any of our workshops and the collection is nothing short of amazing. Today is the final stop on the tour. We have some artwork from the Texture Town online workshop, Pixels and Paint as well as the whimsical Mixed Media Melange course today. I hope that you take a moment to visit each of the artists below..we love hearing from you! For more information about the Texture Town workshop, please click here. 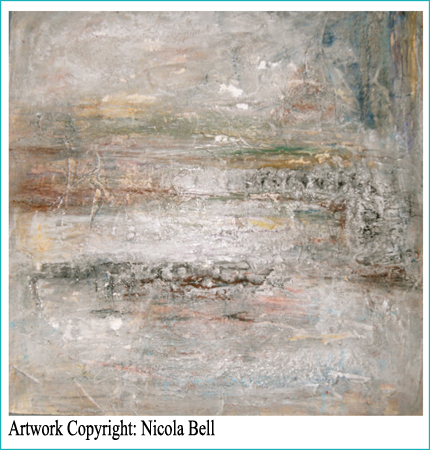 To see what Mixed Media Melange is all about, click here. Pixels and Paint information is here. Enjoy! You can head over and visit Tee by clicking on her painting above. Hello, Rebecca! Texture is looking good! 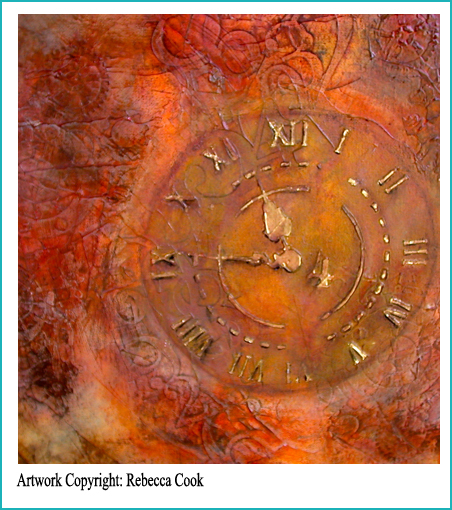 Click the image to visit Rebecca. Thanks for sending this photo in for us, Nicola! Susan's own photography is featured in this painting! 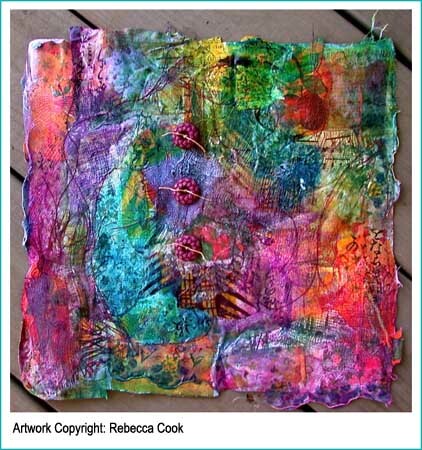 Gorgeous art quilt! Mixed media at it's finest. Beautiful painting on Vinyl from Mixed Media Melange! Go and visit Kim! Click on Cathi's art to pay her a visit too! You can also visit Barbara Morrison by clicking here. She has some of her work on her blog! Thank you so much for coming along on the tour! If you're late to the party, you can revisit all of the Art Gallery tour by clicking on the Art Gallery Tour tag at the foot of this post. t's been a pleasure to have been able to highlight the work of members that have come along on their creative journey with us. I hope you have enjoyed the tour. See you soon!